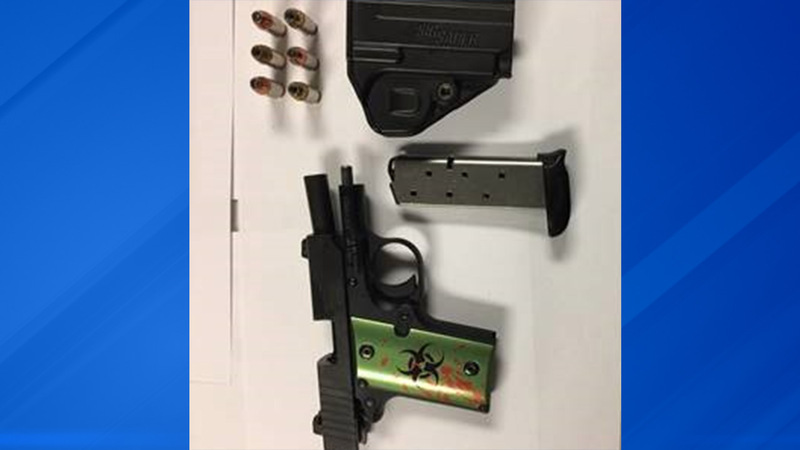 CHICAGO (WLS) -- A loaded gun was discovered in a passenger's luggage by TSA officers at Midway Airport on Thursday. The loaded .380 caliber Sig Sauer was found in a passenger's carry-on luggage at about 5:30 a.m., the TSA said. The passenger was headed to Kansas City. TSA officers alerted local law enforcement and a 45-year-old man was arrested on a state charge, the agency said. This is the tenth firearm discovered in carry-on luggage at Midway so far this year, the TSA said. Last year, 16 firearms were discovered at Midway. At O'Hare, 21 firearms have been discovered so far this year. Nationwide, the TSA found more than 3,390 firearms at security checkpoints in 2016.